From the onset of fermentation, anthocyanins are extracted faster than tannins. In order not to extract these color compounds in vain, it is imperative to protect them from the oxygen and steer them towards stable polymerization forms, such as those with proanthocyanidins. The synergy among the 3 classes of tannins (ellagic, proanthocyanidinic and gallic), exerts a triple protective action towards the anthocyanins. 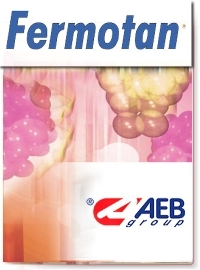 The addition of Fermotan just after pressing enables to protect the coloring matter from oxidations during the stage of transformation of sugars into alcohol, and enables to preserve the grape polyphenolic heritage in the delicate moment of the start of the alcoholic fermentation, where a high quantity of dissolved oxygen is present in the must. Ellagitan – Ellagic tannin for refinement. 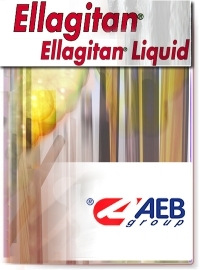 Ellagitan is a preparation based on vegetal ellagic tannins promoting refinement and polyphenols polymerization. Its action mechanism enables to form the ethanal needed for binding the anthocyanins and captures the free radicals which oxidize wine aroma. For these characteristics, Ellagitan is indicated to stabilize wine color and mellow astringency; its taste is soft, velvety and elegant. The most suitable application is at the end of the alcoholic fermentation stage and at every racking. Ellagitan, when used during the wine refinement stage, gives a great stability to wines intended for a long aging even thanks to its great ability to capture oxygen. This preparation can be used also as a clarifier, enabling to reduce the quantity of bentonites and of the other agents necessary to reach the proteic stability, maintaining the colloidal structure of white wines and enhancing their gustative sensations of fullness. Ellagitan Chene – Ellagic tannin from oak wood. Ellagitan Chêne is a highly prized ellagic tannin deriving from the extraction of oak wood essences in water at moderate temperatures: this respectful method enables to obtain particularly gentle compounds, which are then dried through atomization. 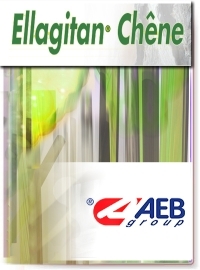 Ellagitan Chêne forms the ethanal necessary for binding the anthocyanins to the proanthocyanidins and successfully captures the free radicals which cause wine oxidation. It is particularly indicated to stabilize color, mellow astringency, preserve and highlight varietal aromatic nuances, without bringing excessive boisée notes. 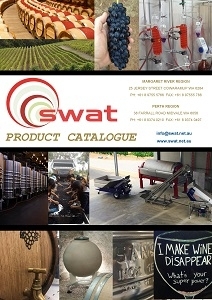 Ellagitan Chêne can be used both at the end of fermentation and at every racking, and during refinement when it is important to guide the oxygen action by using compounds increasing wine resistance to oxidation. Protan Pepin – It stabilizes color and naturally integrates the polyphenolic structure of wines. 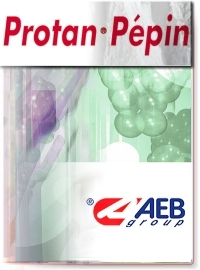 Protan Pépin is a proanthocyanidinic tannin extracted from white grape pips. It adds noble grape tannins, which bind with anthocyanins, and acts as final oxygen receptor. Protan Pépin increases the structure of prized wines, enhances wine’s ability to bind the anthocyanins and to receive oxygen and stabilizes color. It should be used in young wines during maturation, with preferably fractioned additions in poorly structured wines or anyway with a Total Polyphenol Index below 50. The suggested dosage varies between 2 and 25 g/hL, according to the wine structure and the desired results.